We have a wide range of Mast Light for various terrains, wind zones and heights. Our unique telescopic masts take a very mere time for raising and lowering completely. Wisely manufactured in complete compliance with the industry standards using best quality materials, this High Mast Light is offered to clients at a nominal price. We, McCromik Industries from 2010 are manufacturing a high-quality range of LED and Solar Light. 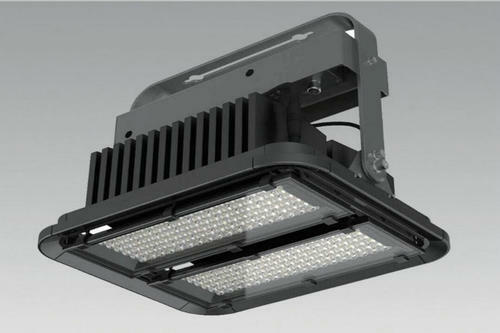 Offered products range consists of Street Lights, Flood Lights, and High Mast Light. These products are designed and manufactured with the use of best quality materials. User-friendly operation, low power consumption, perfect brightness, resistance to damage, optimum performance, minimum maintenance, robust design and long serving life, makes these lights are highly demanded in the market. We are supported by a spacious infrastructure facility. To ensure streamlined operation, we have segregated our infrastructure into various units like manufacturing and in-house quality testing. We have installed latest technology based machinery in our manufacturing unit that is required for standardized production. Also, we have a state-of-the-art quality testing laboratory which is manned by our qualified quality controllers. In addition to this, it is upgraded to meet the demands of the market in the most organized manner.